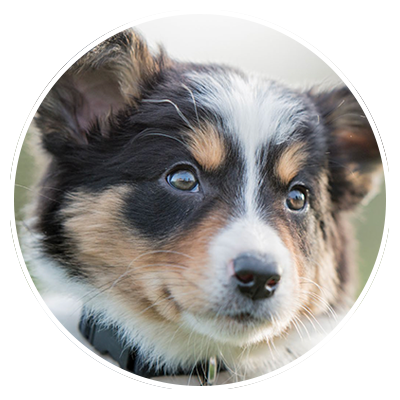 APNM’s Humane Communities initiative hopes to provide meaningful and lasting systemic change for animals through strategic, community-based initiatives; broader humane education programs in schools; better training, funding, resources, and support for animal welfare officers; humane, practical, and affordable alternatives to chaining dogs; and improved public policy for animals. Our priority focus has been on identifying potential fencing sites in Santa Fe County, where need is greatest due to recent ordinance amendments that ban tethering. We supported efforts to upgrade this ordinance and coordinated cooperation among community stakeholders. 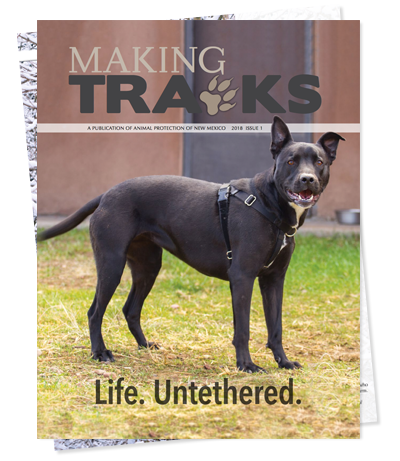 To support the humane constraint of animals outdoors, we have worked closely with Santa Fe City and County Animal Service Officers and community contacts on a case-by-case basis to identify potential fencing sites and other community needs. Through our pilot fencing project, we have so far constructed three secure fences, helping 7 dogs to live their lives untethered, with room to run and play, have shade, and enjoy companionship. We expanded the services of APNM’s Straw Fund, providing free straw to Santa Fe City and County Animal Services, distributed to people whose animals living outdoors need help to stay warm and dry during the winter months. 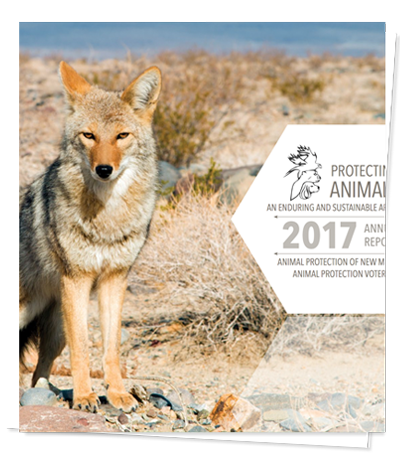 Several Santa Fe schools participate in APNM’s Animal Connection programs and presentations. We provided the National Animal Care and Control Association’s 40-hour academy training scholarships to several Santa Fe city and county humane law enforcement officers. In addition to maintaining close relationships with city and county Animal Services Officers, we collaborate with the Santa Fe Animal Shelter, Chain Free Santa Fe, and many local rescue organizations and volunteers to improve conditions for neglected, abandoned, and abused dogs and cats. Each tax season, we promote to residents and local tax preparers New Mexico’s option to donate all or a portion of state income tax refunds to a state spay/neuter fund and equine protection fund. We provide community outreach at city/county public safety events, the Santa Fe Community College (STEM, Recycling Day, Earth Day), the New Mexico Humane Conference, Santa Fe Market Week, and more! We appreciate High County Fencing and Smallz Brothers for their expert construction services. Our sincere thanks to the Doris Goodwin Walbridge Foundation for generously supporting APNM’s Humane Communities: Santa Fe initiatives.